Home Tags Posts tagged with "philae"
Scientists have confirmed that the Philae lander has detected organic molecules on the surface of Comet 67P. 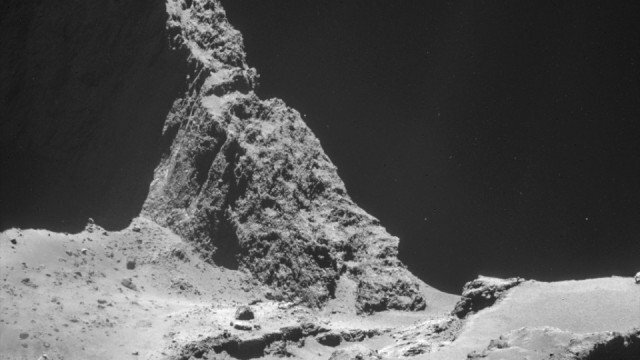 Other analyzes suggest the comet’s surface is largely water-ice covered with a thin dust layer. 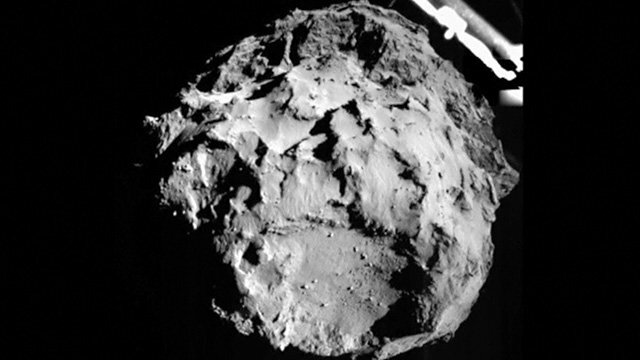 The European Space Agency (ESA) craft touched down on the Comet 67P on November 12 after a 10-year journey. The results are likely to provide insights into the possible role of comets in contributing some of the chemical building blocks to the primordial mix from which life evolved on the early Earth. A key objective was to drill a sample of “soil” and analyze it in Cosac’s oven. But, disappointingly, the latest information suggests no soil was delivered to the instrument. 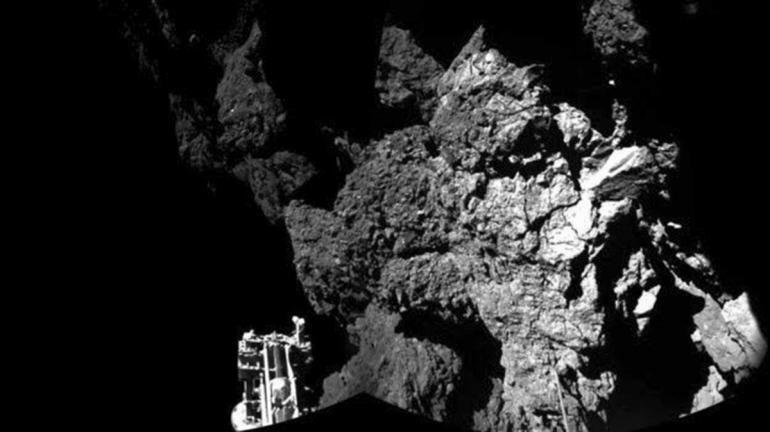 Scientists are hopeful however that as Comet 67P/Churyumov-Gerasimenko approaches the Sun in coming months, Philae’s solar panels will see sunlight again. This might allow the batteries to re-charge, and enable the lander to perform science once more. The lander’s Alpha Particle X-ray Spectrometer (APXS), designed to provide information on the elemental composition of the surface, seems to have partially seen a signal from its own lens cover – which could have dropped off at a strange angle because Philae was not lying flat.